On May 1st and 2nd, 2018, His Holiness the 42nd Sakya Trizin bestowed the Kalachakra empowerment to about 250 people at the Lynnwood Convention Center. Sakya Monastery organized this auspicious event, which marked the first time the Kalachakra Empowerment has ever been given in the Pacific Northwest. As our area is subject to earthquakes, we felt an empowerment that – among other things – helps the environment would be especially beneficial for our region. His Holiness arrived to a grand procession with all of the regalia of the traditional Tibetan style, with flags and a red carpet. The sound of horns and music announced his arrival. Tibetan dancers led the procession, escorting His Holiness through the crowd of devotees, heads bowed and katags extended, eager to greet a great master of the Sakya tradition. He proceeded along a path adorned with auspicious symbols and strewn with flower petals, and then received the traditional “chema” welcome offering (of barley, butter and chang), offered by young members of the Tibetan community. The Kalachakra belongs to the highest yoga tantra class, the Anuttarayoga. The two-day empowerment that His Holiness bestowed was based on the Vajramala tradition, and is a briefer version than the one bestowed by His Holiness the Dalai Lama. Right intention and motivation: Initiates should enter the mandala with right purpose, thinking that we are entering the mandala for the intention to attain enlightenment for the sake of all sentient beings. Receiving the refuge, bodhisattva and vidyadhara vows. Feel joy at having met the Vajrayana path, as it has been traversed by all the Buddhas of the three times. Purify the mental continuum by visualizing the merit field, which is in the nature of light, and reciting the seven-limbed prayer. Throwing neem sticks to determine future attainments. Receiving the protection cord to pacify obstacles for dreams. Receiving kusha grass to place under the pillow and mattress in a specific manner. Being given the instruction to examine our dreams the following morning upon waking to check for positive or negative signs. On Day 2, we received the vows of the Five Dhyani Buddhas and then mentally entered the mandala to receive the empowerment. Entering the inner mandala means that primordial wisdom descends in to your mental continuum. His Holiness described all the deities of the mandala in Tibetan while we imagined seeing them and feeling great joy. In keeping with a major mandala empowerment, His Holiness gave the four major empowerments as well as the vajra and bell empowerments. At the conclusion of this extraordinary teaching, mandala offerings were presented to His Holiness by the Sakya Phuntsok Phodrang, Sakya Monastery, the Tibetan Association of Washington and the Vietnam Sakya Center. Sponsors and volunteers were recognized and presented with Kalachakra thangkas. Everyone then proceeded up to the throne to present His Holiness with a katag offering in appreciation for receiving such a precious teaching. We are very grateful to H.H. the 42nd Sakya Trizin for his incomparable kindness in giving us a chance to receive this great blessing. Today is the second anniversary of HH Jigdal Dagchen Sakya’s transformation into Guru Rinpoche’s heart. His Holiness Jigdal Dagchen Sakya is one of my root gurus, on both the worldly and spiritual levels. His kindness and wisdom was immeasurable. When I was in Tibet 25 years ago studying Tibetan history, I read a famous Tibetan history book called the Red Book, by Tsalpa Kunga Dorje, and a commentary upon it by Duhnkar Lobsang Tinley. 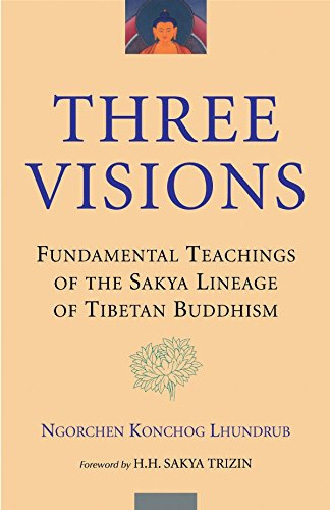 In this book I found a very short sentence about Dagchen Rinpoche, that said simply that there are two head Sakya lamas; one being Ngawang Thekchen Palbar living in India, and the other Ngawang Kunga Sonam, or Dagchen Rinpoche, living in America. Prior to that I’d read the famous Sakya history written by Dagchen Ame called “The Storage of Treasure; The History of the Lineage of the Sakyapa”. I’d also received many teachings and empowerments from my first root guru, HH Lamo Yongzin Rinpoche, many of which came from the five founding masters of Sakya. I first met Dagchen Rinpoche in Kathmandu in the mid 1990’s at the Tarig Monastery’s temple. At that time I received some blessings from him, but didn’t have time to receive teachings or empowerments. I told Dagchen Rinpoche that I was writing a history of the Sakyapa, and later wrote a short biography of Dagchen Rinpoche, his sons, and grandsons to include there, along with his photograph. When I was staying in Tharlam Monastery in Kathmandu in the late 1990’s, the monks told me that the founder of this monastery, the Third Dezhung Rinpoche, was the uncle of Dagchen Rinpoche’s consort, Dagmo Kusho. One of my students from Tharlam, the monk Chime Tenzin, was Dagmo Kusho’s relative. In early 2002 in New York, Chime Tenzin introduced me to Dagmo Kusho. At that time, she invited me, with Dagchen Rinpoche’s approval, to come to Seattle to live at the Sakya Monastery and to write Dagchen Rinpoche’s biography. At the time I had to return to Nepal to fulfill other Dharma obligations, but six months later I traveled to Seattle with the Fourth Dezhung Tulku’s brother Isaac to accept their invitation. I didn’t bring many things with me, except for the 37 volumes of Dagchen Ame’s texts. I arrived at Sakya Monastery in Seattle late in the evening, and the next morning I was driven to the Sakya’s home by Adrienne Chan, Dagchen Rinpche’s amazing long-time secretary. In the living room I met Dagchen Rinpoche, and was immediately impressed by his blissful, powerful, shining face. I’ll never forget that moment. I did three prostrations, and offered one beautiful long white kata, and some yogi’s cloth which I’d brought from Nepal. Dagchen Rinpoche was so happy, and gave me a blessing with his hands, and said, “I’m so happy you came here to write my biography”, and said he’d been so excited he hadn’t slept much for the previous few nights. During those days he’d been home recovering from knee surgery. Also I immediately felt Dagmo Kusho’s warmth of compassion and kindness like my very own mother. The next day I started work on Dagchen Rinpoche’s biography. For starters, I could refer to a short version of his biography compiled by unknown author. Secondly, Adrienne provided me with the calendars of Sakya Monastery’s and Dagchen Rinpoche’s activities for the previous 25 years, which was very helpful. Also I began interviewing Dagchen Rinpoche, Dagmo Kusho, and other members of the Sakya family. During the next five years, writing this biography was my main job. I also joined in the activities at the Sakya Monastery from 10-15 days per month. I learned that the Sakya Monastery was the busiest place for Dharma activities in the northwest, due to Dagchen Rinpoche’s limitless blessings and his disciples’ unchangeable devotion. During the many years I was at Sakya Monastery, Dagchen Rinpoche would drive his black Cadillac to the monastery almost every day. Sometimes Adrienne drove his car, or Dagmo Kusho brought him in her own car. He would arrive usually around 9am, and go directly to his office on the first floor. Later with a new addition, his office moved to the second floor. Many days I offered him tea from the monastery kitchen in his office. Each time in preparing tea, I would wash my hands, then his teacup, then make his favorite green tea, and offer him the tea. For me this was the most important practice, part of guru yoga practice. Each time I saw Dagchen Rinpoche drink this tea, I felt so blissful. I felt that this had never happened in my past millions of lives, and would never happen again in my future millions of lives. After the tea, Dagchen Rinpoche would start work in the main shrine room, cultural hall, or library, managing countless monastery tasks. When he was working, he was so careful and precise with each task. For example, even if he was putting three jars of flowers on the offering table, he knew exactly the best design for which vase belonged in the center, left, or right; myself or careless lazy students wouldn’t notice such details. Another example of his attention to detail was the storage room, in which there were many boxes full of Dharma materials. All of them were labeled as to what was inside, but no matter if the label was correct or not, Dagchen Rinpoche always knew exactly what was inside, as if he could see through the box. Most Sakya Monastery members have had experience with Dagchen Rinpoche while working around the monastery on work days. Rinpoche would typically take us all out for lunch. One day I’ll never forget. It was a summer day, after Richard, Scottie and I had just moved the boxes of books yet again. Since it was a small group that day, Rinpoche had us drive the old monastery truck. As we were about to get into the truck, Rinpoche says, “Scott, you drive the truck, Tulku you sit next to the driver; Richard and I will ride in the back.” Since this was an open pickup truck, Rinpoche would usually ride in the cab, and others of us would ride in the back. So this command seemed a little unusual! In Tibetan or Buddhist culture, the master would normally ride in the front seat, or at the very least inside the car. But that day, my world was upside down. I begged and almost cried to Dagchen Rinpoche that this was unacceptable, “Please ride in front!” But Rinpoche, in his unchangeable master style, would have none of it. His mind was totally free from ordinary worldly thoughts, so he said ‘No!’ Usually the drive from the monastery to that particular restaurant took 15 minutes, but my mind was full of fear and nervous sadness, so that the drive felt like it took two hours. Even now when I remember that day, I feel that nervous tension, beyond words. After Dagchen Rinpoche’s knee surgery, he normally walked with a cane. Just after the big Tibetan earthquake in Eastern Tibet in 2014, he was invited to Sakya Dharma centers in Minnesota and New York. A couple of weeks before we left, Rinpoche handed me his cane. I was happy to receive the cane, but since I’m young and healthy, I didn’t know what I’d use it for. But three days before departure, my left ankle became swollen and very painful. So during our travels, I used Dagchen Rinpoche’s old cane, and he used a new one! On two occasions, Dagchen Rinpoche gave me the clothes he’d been wearing. While there is a tradition of masters giving their clothing to their close disciples, normally Dagchen Rinpoche did not do this. Many times, he gave me a blessing with his hands. A thousand times I would arrange his shoes after he arrived at the teaching throne. That moment to me was also blissful and amazing. When I would bow down to arrange his shoes, Dagchen Rinpoche would lean on my shoulder. Then I’d hold his hand while he stepped up or down from the throne. I had amazing opportunities for Dharma trips with Rinpoche to different states in the US, Canada, Hong Kong, Taiwan, and India. Under his order, I wrote the mantras on the sandalwood pieces which were placed in the center of the Mahakala and Palden Lhamo statues at Sakya Monastery. Many times he gave me blessed food and drink. One of his favorite things after going to a Chinese restaurant was to hold fortune cookies in each fist and say; “Tulku, which one, left or right”! One time, Rinpoche and I went to a Chinese restaurant very close to the Woodland Park Zoo. After lunch, Rinpoche had me choose a fortune cookie in this way. For some reason, I would normally choose the left hand cookie. This day I also chose the left, and the fortune read, “Soon you will go to a beautiful place you’ve never been before.” I hadn’t told anyone before this, but I’d recently made plans to visit Hawaii for the first time. Every time I had unhappy feelings or negative emotions in my mind, the moment I saw Dagchen Rinpoche’s powerful face, those feelings vanished. My mind became full of happiness and bliss. Many years after Dagchen Rinpoche’s family moved to Seattle, Rinpoche and Dezhung Rinpoche worked at the University of Washington. For awhile, Rinpoche made some traditional Tibetan masks for the museum, or created exhibits of traditional Tibetan culture. Some of the materials had chemicals on them which hurt Rinpoche’s skin. For many years when I accompanied him to restaurants, I observed him dipping his fingers in ice water. Dagmo Kusho explained that this helped release some kind of pain. Like his father before him, if powerful, rich or famous people visited him, he would not act like it was anything special. But if someone was poor or suffering, or if someone was sincerely seeking Dharma guidance, he would help them tirelessly. He would always say, “These people are like my karmic debts.” He would use the Tibetan word ‘lanchak’ for this. He always commented in his weekly teachings or in daily conversation, that “ordinary vision” is such a powerful delusion and that ‘’pure enlightened vision‘’ is very rare. If we had lost or broken some very important expensive object, Dagchen Rinpoche displayed little or no concern. But he’d show much appreciation and enjoyment for a very small cute statue or a plaything of no real importance. Halloween time was his favorite, and each year he’d come to the monastery’s Halloween party wearing a costume. In the beginning, I wondered why this high Tibetan master was interested in this meaningless crazy western holiday. Slowly, after many years, I realized why he enjoyed this type of thing so much. His mind was totally free from meaningful or meaningless. He was very humble, and did not reveal his high realization, so normally you wouldn’t know about his practice or realization. When he gave teachings, his words seemed to come from many random parts of the Buddhadharma, but in the end they all fit together perfectly. For an impatient mind, it maybe seemed confusing; for a scholarly mind, you’d maybe think it was too common or ordinary a teaching. But in the end you’d find this teaching was like an acupuncture needle or moxa that had correctly located your vital spot of pain. Once I did a Kurukulle retreat in my bedroom on the third floor of the Sakya Monastery. Before I started this retreat I humbly requested Rinpoche to come to my room to bless it. By his blessings, this retreat was amazingly successful. I have received many teachings from him, except for the Sakya Lamdre transmission. I request that I become his disciple in my future lifetimes. His reading of my or others mind was a frequent occurrence. A few years ago, before doing a two day Bumtsok retreat, my students and I ordered a beautiful thangka from Nepal of Guru Rinpoche’s Eight Manifestations. One day when Rinpoche was giving a public teaching at Sakya Monastery, I hung this thangka to his right and requested a consecration. The teaching that day went quite long, and it was approaching the end, and still Rinpoche had not done the consecration. I thought, “Please Dagchen Rinpoche, do the consecration!” One second later, he opened his rice cup and began blessing and consecrating the thangka! He also told Dagmo Kusho that one of my past lives was as a Sakya monk, or old Lama. 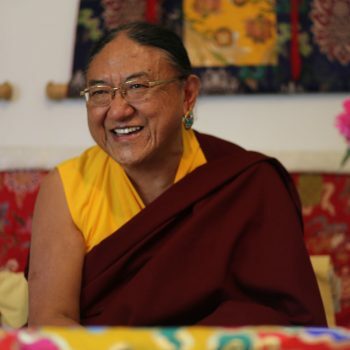 As a high Khon lineage master, Dagchen Rinpoche had a very strong connection with Guru Rinpoche. So practicing the Guru Rinpoche Tsok was one of his favorite practices. He always said this practice is one of the most powerful for purification and accumulation. The main Buddha statue in the Sakya Monastery was sculpted by a Bhutanese sculptor, but Rinpoche at first didn’t like the face that had been created. So he re-sculpted it himself. This Buddha’s face is now the most beautiful and powerful I’ve ever seen. Every time when I or others with mental or emotional challenges look at this face, all of those negative emotions and defilements are erased. Also after another Bhutanese sculptor had created the Mahakala statue, Dagchen Rinpoche was not happy with the stomach, and had Lama Mingmar sculpt a new larger bulging stomach. After that this statue became more powerful and magical. 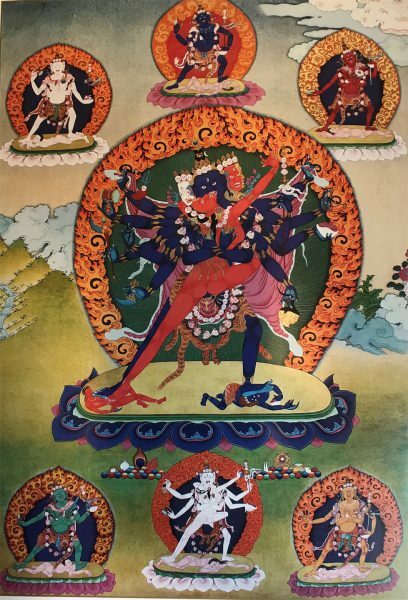 Many times when Dagchen Rinpoche sat on the throne and we practiced the Mahakala prayers, and I listened to Rinpoche play the cymbals, I would close my eyes and feel Mahakala and other protectors dancing around all of us. Dagchen Rinpoche would normally wear ordinary western style clothing, but at spiritual gatherings, he would don the yogi’s clothes with short sleeves. Even in cold weather he wore these. One of his favorite things was snuff; an Asian tradition which some older Tibetan lamas enjoy. I never knew whether his snuff was home-made, or from India or Tibet. Traditionally we believe that when a high realization lama uses this, it helps their realization become stronger and higher. We don’t believe that this is a negative addiction in the usual sense, because their mind is totally free from attachment. When I accompanied Rinpoche to a restaurant, sometimes he’d eat more meat, sometimes more vegetables. When he gave refuge vows, he’d say it’s ok to eat both, but to acknowledge that beings are killed during harvesting vegetables, as well as for meat itself. He’d never say anything negative about anyone else, and when others would gossip about others, he’d just laugh at them. A few days before Dagchen Rinpoche transformed into Guru Rinpoche’s heart, he and his family and disciples took some special photos. He sat on an elaborate golden throne from Tibet, and wore his Sakyapa robes and hat. 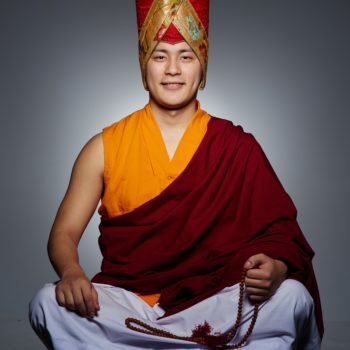 One of the monks gave him a Sashu hat, the traditional Sakyapa master’s hat, but he said to give him Ogyen Penshu’s hat, which is one of Padmasambhava’s hats from the Nyingma tradition. This is one sign that Dagchen Rinpoche transformed into Guru Rinpoche’s heart. The second sign is that after Dagchen Rinpoche’s holy body was cremated in New Delhi, Dagmo Kusho and some of his son’s arrived back in Seattle. Early in the morning of their arrival I had an amazing dream. In my dream some of Dagchen Rinpoche’s sons and I were carrying the traditional Tibetan style casket from his house to the Sakya Monastery. Suddenly, I looked up at the sky, and from the east I saw an amazing brilliant light like a sun I’d never seen before. In the middle of the sun, Dagchen Rinpoche appeared wearing the Sakya Gongma robes. I exclaimed to his sons, “Look at the sky, Dagchen Rinpoche is there!” Rinpoche looked at us, smiling from within the radiant splendor. Then the sun and Rinpoche moved to the south, becoming smaller and smaller, transforming into a circle of five colored rainbows, and finally disappeared in the southwest. Guru Rinpoche’s copper colored mountain is in the southwest direction, so when I pray to Dagchen Rinpoche, I believe he is in Guru Rinpoche’s pure land. During the last two years, I’ve had many dreams in which Dagchen Rinpoche appeared. Each time, I hold Rinpoche’s hand, sometimes going up, sometimes going down, sometimes in the temple, or in the mountains. Of course I miss Dagchen Rinpoche every day. If this feeling is very strong, and if I cannot control my mind, I look at and touch his cane, or his clothes, or teacup, and look at his photos. Especially I look at one photo where Dagchen Rinpoche is seated in a chair, with his right hand on top of my head. Or I read the letter which he wrote to me two hours before his transformation. I aspire to finish my video documentary about my root guru Dagchen Rinpoche, in which I interviewed Sakya masters, members of the Sakya family, and his disciples. The renovation project for the two third-floor bathrooms at the Monastery has been completed! We began fundraising for the project in September, 2017. By November we had raised enough funds to begin working on the third floor bathroom in the front of the building, where the Dhungseys sometimes stay when they visit, and which visiting Lamas use as a green room. This work was finished just in time for H.E. Asanga Rinpoche’s visit on December 11, 2017. Our contractor, EDI Design LLC, installed a shower, a larger capacity hot water heater, plumbing, flooring, cabinets, and all fixtures including a new sink and toilet. A new coat of yellow paint added the final touch to a beautifully renovated room. The next month, EDI Design LLC completed the second bathroom project in the monks’ quarters which included installing a new shower/tub, toilet, sink, cabinet, and flooring as well as painting the bathroom yellow. That room, too, became a marvelous make-over. The monks now have a modern, functioning bathroom. We want to thank everyone who contributed toward helping us reach our $25,000 goal for the two-bathroom improvement project! We especially want to thank Judy Cole for referring EDI Design LLC to us. Thank you everyone again for your awesome commitment to Sakya Monastery. This speech was intended for the Tibetan speakers and I wasn’t sure if it would be relevant to English speakers and only yesterday one of the sangha members suggested that it would be good to share a summary of today’s reflections for the non-Tibetan speakers. So first of all I began by giving my warmest greetings to all on the Tibetan new year of the male earth dog. One special trait of Tibetan culture I feel is important for Tibetans to recognize, is the special connection between Tibetan tradition and Tibetan Buddhism. For example, how people in Tibet would circumambulate, offer smoke pujas, or make offerings to their shrines. So you can’t know Tibetan culture without knowing at least a bit of Tibetan Buddhism. And just as H.H. the Great 14th Dalai Lama says, if we keep Tibetan culture alive, we are also keeping Tibetan Buddhism alive. I feel to keep both Tibetan culture and Tibetan Buddhism alive, the most important way is for the elder generation to introduce and teach to the younger generation. It is their responsibility to do this and when teaching them, it’s important to explain the meanings of these things and to be open minded to their questions rather than forcing it upon them. When it’s explained properly they will naturally be interested in it because Buddhism itself is perfect, however, it simply depends on the one who teaches it otherwise, there is always a place for Buddhism for anybody who wishes to learn and practice it. For example, I have seen a few times where parents would force their children to respect wrathful deity statues and prostrate to them, as if they are our Gods and they need to be feared. When we open the shrines to the wrathful deities, it seems like we’re now revealing the real hidden Buddhas. We have to remember that these wrathful deities, no matter how fearsome they may appear, are not to be feared at all, but that they are always helping and protecting us out of love and compassion. Also remember that even with all these wrathful and different sorts of deities, it all comes back to the Buddha. If we just look at his calming peaceful form, we are reminded of our own pure Buddha nature. We can practice the Dharma with even small endeavors like simply giving a little bit to the poor or every now and then reading a Dharma book. One can join in the morning Ngöndro practice here at the Sakya Monastery. Or one can even go on YouTube watch a video of His Holiness or whoever one’s guru is. Because each of these actions is a step towards changing oneself and helping everyone. So if we can review the previous year and look at what positive and negative things were done. After recognizing these, we promise to continue meritorious acts, to stop bad habits and try new and more ways to help one self and others. If we can do this, I feel it will bring much benefit and we can live without regret. Welcoming the year of the Male Earth Dog, I wish you all Losar Tashi Delek. As Buddhists, all of us seek refuge in the Triple Gem, striving through devotion and practice to transcend our sufferings and attachments to samsara. So today as we celebrate Losar together, let us count our blessings. Let us thank Lord Buddha Shakyamuni and all of his true, noble disciples who have compassionately and wisely embodied and taught the supreme advantages and unfailing merits of the Buddha Dharma to millions of sentient beings over the last 2,500 years. Let us thank His Holiness Dalai Lama, who has led the Tibetan nation and Tibetan Buddhists in an exemplary manner for over 8 decades. Let us thank the Sakya lineage, which has maintained a 950-year line of Dharma kings, who have embodied and protected the noble aspirations of Samantabhadra. Where would we be today without their pure motivations and supreme commitments to bodhicitta? Let us thank H.H. Sakya Dagchen Dorje Chang, who for over 80 years blessed and benefited countless sentient beings with his meditations, retreats, prayers, mantras, teachings, empowerments, and innumerable meritorious activities and qualities as Vajradhara. Let us thank the three grandsons of His Holiness Sakya Dorje Chang and Her Eminence Dagmo Kusho. His Eminence Avikrita Vajra Rinpoche, His Eminence Abhaya Vajra Rinpoche, and His Eminence Asanga Vajra Rinpoche are devoting their lives to upholding the Sakya Dharma heritage and continuing in His Holiness Sakya Dagchen Dorje Chang’s footsteps as excellent custodians, guardians, and teachers of the Buddha Dharma. Let us thank Her Eminence Dagmo Kusho for tirelessly and inspirationally supporting His Holiness Sakya Dorje Chang in his efforts to plant and nurture the Sakya lineage in North America for 68 years. Let us thank the mothers and fathers of our Sakya Dhungseys and the entire Sakya family who have demonstrated their unique love, dedication, and selflessness for parenting their offspring. Let us thank our three resident lamas, Khenpo Jampa, Lama Migmar, and Lama Kelsang, who loyally support Sakya Monastery as teachers, artists, and ritual masters. And finally, let us thank ourselves for supporting in all of our various and sundry capacities the establishment and development of Sakya Monastery, so that this celebration today is possible and the Dharma will flourish. The brilliant and inspirational qualities of mind embodied in all of our lamas with the support of our lay community are the treasure house that this New Year will offer for the benefit of all sentient beings. How fortunate we are here today to experience the jewels of the Dharma. And may all of us have the good fortune to have long and happy lives so that we can share the gift of the Dharma beyond this New Year for the eternal benefit of all sentient beings. 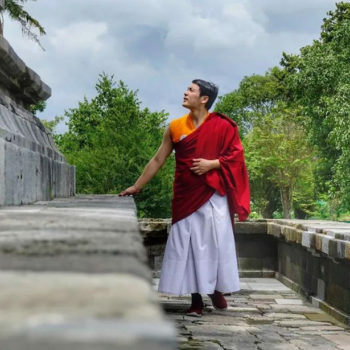 In late January 2018, His Eminence Sakya Khondhung Avikrita Vajra Rinpoche, His Eminence Sakya Khondhung Abhaya Vajra Rinpoche, Her Eminence Dagmo Kusho Sakya, and more than fifty ordained and lay students from thirteen different countries all came together in Yogyakarta, on the island of Java, Indonesia for several days of pilgrimage to various sacred Buddhist temples. Although now predominantly a Muslim country, the roots of Buddhism still exist in Indonesia. The evidence of this lies in the ancient Buddhist temples still standing in various states of repair and the fact that it is still an active place of pilgrimage for Buddhists from all over the world. Another special reason Buddhists go for pilgrimage to Java is because of the beloved 11th Century teacher Atisha Dipankara who was known to have traveled there to receive special teachings on Bodhicitta and Lojong (mind training). When Atisha later traveled to Tibet, he would take these teachings with him. Guided by H.E. Avikrita Rinpoche, we were able to visit many of the very same temples that Atisha once visited. In the morning, H.E. Avikrita Rinpoche bestowed a special Akshobya purification initiation (Akshobya is one of the Five Dhyani Buddhas) and in the afternoon, we received an in-depth teaching on meditation and compassion. 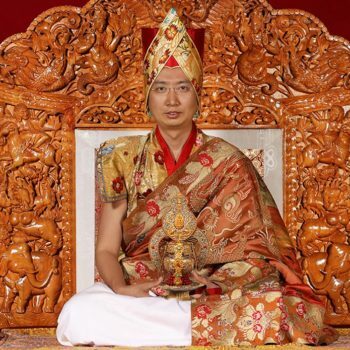 His Eminence Avikrita Rinpoche gave the special reading transmission for “A Condensed Practice of the Mahasiddha Virupa’s Upadesha On the Mind-Training of Unequalled Compassion,” a practice that is considered advanced training in bodhicitta for serious practitioners. Virupa was the greatest of the 85 Mahasiddhas who lived in the 7th and 8th centuries and whose teachings are a specialty of the Sakya tradition. Rinpoche bestowed this blessing in anticipation of the next day’s pilgrimage to Borobodur where we would learn of Virupa’s mysterious connection to this ancient Buddhist site. The group boarded several air-conditioned buses for an hour-long ride to Borobodur, the main focal point of our pilgrimage. Built around 800 AD, Borobodur, is a giant mandala in design, consisting of six levels of square platforms, three circular levels and one main stupa. The walls of the structure are covered in reliefs that depict the stories of the Buddha’s past lives as well as his teachings which are reflected with each level of the mandala. What is so unique about the design of Borobodur is that it is said to reflect the Buddhist conception of the Universe. As you circumambulate through each level you move from the inside out (metaphorically). Moving from the desire realm, through the realm of forms where we abandon our desires but are still bound to name and form, and finally to the realm of formlessness where there is no longer either name or form. These levels also coincide with the Bodhisattva levels of the path to enlightenment, each level containing fewer statues and carvings until finally only a large empty stupa at the top symbolizes emptiness, or the state of Nirvana. Upon arrival at Borobodor, we walked up a special ramp to get to the monument’s south eastern side. Avikrita Rinpoche led us to an area of relief panels that were once covered by huge bricks of volcanic rocks. Originally these rocks were used to stabilize the structure, but now the bricks had been removed in order to reveal the relief panels below. There, above a carved relief panel of the Buddha’s teaching, was Virupa’s name carved in ancient Javanese script. What was so mysterious is that there is no written history of Virupa ever having been to Java. After standing in awe of this miraculous artifact we began our upward journey through the mandala, and to the delight of many nearby, there were two kittens nestled into one of the crevices. There we stood in awwwww for a few more moments before continuing on our way. We spent a couple of hours climbing, circumambulating and reciting prayers. The weather was extremely hot and humid, and there were countless dragonflies flying everywhere, adding to the mystical feeling of the place. After leaving the monument proper, we became moving targets, dodging dozens of vendors who wanted to sell us everything from fans to small stupas made of volcanic rock, until finally making it back to the buses. Next we visited Pawon and Mendut temples, which are geographically situated in a straight line with Borobodur, and are thus believed to have been intentionally constructed in connection with Borobodur. During the full moon in May or June, Indonesian Buddhists observe Vesak by walking from Mendut to Pawon to Borobodur. The Pawon temple is believed to have been built as a tomb or mortuary for a king, and contains the relics of saints. It is considered a jewel of Javanese temple architecture, and Atisha is said to have done retreat there. It had a shop nearby where you could sample and purchase the famous luwak (civet) coffee, a specialty of the region. The Mendut temple has an elevated terrace for circumambulating and is surrounded by bas-reliefs of bodhisattvas such as Avalokiteshvara, Maitreya and Samantabhadra. In the entryway, there is an image of a nursing woman, Hariti, and local legend said that if you touch her while making a wish, your wish could come true. This was “Arts and Crafts” day, where the group could go and have the experience of making pottery and batik art. In case you’re not familiar with it, batik is an Indonesia fiber design technique involving wax resist. The group had an opportunity to visit Batik Art Center in Kampung Kauman to practice their own batik drawing. We stopped at a place where traditional Javanese pottery was made. We all got a chance to practice making some common pottery items and some of us made some “not so common” pieces. It was so fun to get in touch with our inner artist on this day. This was our second day of visiting temples. First we went to Prambanan, which was built in the 9th century. Prambanan is the largest Hindu temple area in Indonesia, and in the same area are three Buddhist temples: Bubrah, Sewu and Lumbung. At Lumbung temple we recited the Manjushri prayer. It is said that if you look up at the sky from this roofless temple, you may see a vision. We didn’t hear of any of our group seeing a vision, but maybe they are keeping it to themselves. Bubrah temple has an “invisible Buddha.” Sewu temple is the Manjushri temple with architecture based on the Vajradhatu Mandala. This was a very spiritually powerful place and it is said that there are Terma (hidden Buddhist texts) buried somewhere within its foundation. These were very interesting and powerful temples to visit, both architecturally as well as spiritually. Last but not least, we visited Kalasan temple. This is where Atisha had a vision of Tara, who instructed him to go to Tibet. In fact, it is said that Tara may have originated at this very place. What an amazing two days! The restaurant we visited for lunch on this day was possibly the fanciest of them all. It was called Sekar Kadhaton in the famed Silver City. A small gamelan band played for us while we ate a vegetarian buffet lunch in beautiful traditional Indonesian surroundings. The pilgrimage officially over, we started to go our separate ways. Some pilgrims left for home, while others visited nearby islands or stayed on Java for another day or two or five. We were all so very grateful for this amazing opportunity to visit these holy places, to have spent such precious time with H.E. Avikrita Rinpoche, H.E. 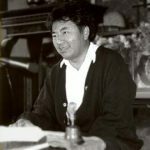 Abhaya Rinpoche, H.E. Dagmo Kusho and the many monks and other pilgrims from faraway places. We all felt very well taken care of on this trip. And to the phenomenal organizer Gordon Black and Indonesian guide Bram) thank you for taking such good care of us and being meticulous in keeping in mind every detail (including providing water bottles with “Sakya” labels!). There was a rumor that this pilgrimage may happen again, so keep your ears open! Thank you so very much to H.E. Avikrita Rinpoche for guiding us on a truly amazing pilgrimage! In this extended session (with tea breaks!) Tom will cover the full range of topics pertaining to the theory and practice of Buddhist “higher education” (adhiśikā), traditionally organized into the three inter-related areas of wisdom (prajñā), ethics (śīla), and meditation (samādhi). While these presentations will be grounded in scholarly and historical material, Tom’s primary approach and emphasis will be to reveal and discuss on a more personal level how spiritual practitioners can deeply understand, connect to, and organically incorporate these Buddhist perspectives and practices into their lives, moment by moment, day by day, for an entire lifetime and beyond! Tom will address these topics in the context of leading guided meditation sessions (with detailed commentary), using texts regularly recited at Sakya Monastery, including An Ocean of Compassion and the Aspiration of Samantabhadra. Buddhist Transcendent Wisdom teachings. Topics will focus on the wisdom traditions as refined by Centrist (Mādhyamika) philosophers in India and Tibet, and will involve discussions aimed at developing the analytical insights and tools needed to cut through or “deconstruct” misconceptions and misperceptions about the nature of reality and the self, clearing the ground for a “middle,” conventionally viable space in which inter-dependent, relative selves can interact optimally in a field of infinite potential. Buddhist ethics. Topics will include the ethical practices and commitments of each of the Three Vehicles (the Individual, Universal, and Tantric Vehicles), and will involve discussions aimed at developing deeper, more nuanced and practical understandings of “renunciation,” love and compassion, the spirit of awakening (bodhicitta), and buddha-identity and pure perception. Buddhist meditation and Tantric yoga. Topics will include the contemplative practices of mental focus and quiescence meditation (śamatha), insight meditation, (vipaśyanā), mindfulness meditation, mind training (lo jong) and Tantric visualization, mantra, and deity yoga practices. Dr. Tom Yarnall has been a Buddhist practitioner and a student of lamas from all four orders of Tibetan Buddhism for almost four decades. He has been a student of H.H. Dagchen Rinpoche’s and a member at Sakya Monastery since 1979. 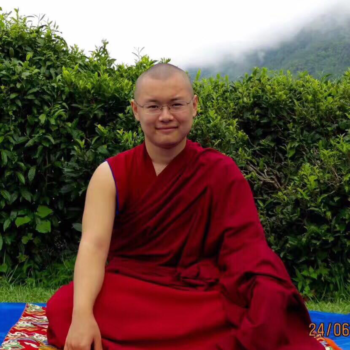 He also has been a very popular summer teacher at Sakya Monastery for many years, teaching a wide range of subjects. This will be a rare opportunity to benefit from his highly accessible Dharma presentations and to engage with him in an extended dialogue. Dr. Yarnall earned his Ph.D. in Religion (Buddhist Studies) at Columbia University in New York, where he has remained for the last twenty-five years, and where he currently is an Associate Research Scholar and Adjunct Assistant Professor in the Department of Religion. He specializes in Indo-Tibetan Buddhist Studies, teaching courses in Buddhist history, philosophy, ethics, and contemplative sciences. He is also the executive editor for the “Treasury of the Buddhist Sciences” series of translations of works from the Tibetan Tengyur (and associated literature), being co-published by the American Institute of Buddhist Studies (AIBS, founded in 1972 at the suggestion of H.H. the Dalai Lama and at the behest of the late Ven. Geshe Wangyal) and Wisdom Publications, in collaboration with the Columbia Center for Buddhist Studies and Tibet House US, and being distributed by Wisdom Publications. Dr. Yarnall’s own scholarly work has focused on Mādhyamika philosophy, Buddhist ethics, and especially on Indian and Tibetan Tantric materials of the Unexcelled Yoga class, as interpreted by the Tibetan Gelug and Sakya traditions. His study and translation of the creation stage chapters of Tsong Khapa’s Great Treatise on the Stages of Mantra (sngags rim chen mo) was published by AIBS in June 2013. August 18: Empowerment is from 5-8pm, and registrants can meditate quietly in the room from 2 to 4 pm while His Holiness prepares. August 19: Empowerment is from 2-8pm, and registrants can meditate quietly in the room from 10 am to noon while His Holiness prepares. *Sponsors will have priority seating, a complimentary lunch with His Holiness the Sakya Trichen Rinpoche (with a group photo), and an opportunity to participate in a mandala offering. The prerequisite for taking this empowerment is Refuge. There are no commitments. This empowerment fullfils the prerequisite for a Vajrayogini empowerment by a Sakya Lama. His Holiness the Sakya Trichen Rinpoche is the forty-first head of the Sakya Order of Tibetan Buddhism. He is a peerless and world-renowned master of the Dharma in general and the Vajrayana in particular. His compassion and wisdom are an inspiration to all those who have the fortune to meet him. The International Buddhist Academy (IBA) in Kathmandu is running a global training program that encompasses the Buddhist path in its entirety. 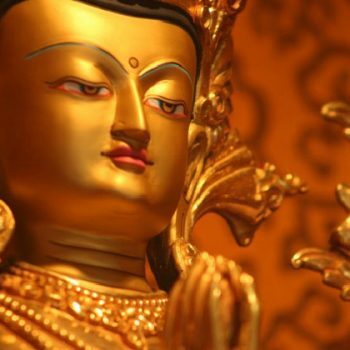 This unique course has been devised for Dharma practitioners of all levels of experience and is focused mainly on the theory and practice of the Vajrayana path as transmitted by the founding masters of the Sakya school of Tibetan Buddhism. His Holiness Ratna Vajra Rinpoche, the 42nd Sakya Trizin, is teaching this full 7-year program at the International Buddhist Academy in Kathmandu. In addition, IBA has established partnerships with selected Dharma centers on different continents to offer the first three years of this program, taught by qualified Lamas and guest teachers. To help facilitate this precious opportunity for Buddhists in the United States, H.E. Avikrita Rinpoche, Head Lama of Sakya Monastery, and H.E. Dagyum Kusho, the Acting Head Lama, have chosen to host the second year (2018) of The Complete Path at Sakya Monastery. Ven. Khenpo Jampa Rinpoche, assisted by translator Geshe Jamyang Tsultrim, will teach the weeklong intensive course at Sakya Monastery (Seattle, WA) from August 1-7, 2018. This is the second year of the course. Participation from the second year (2018) onward requires completion of the previous levels. At the end of each year’s course, participants will receive a certification attesting their qualification to continue the program. For more information about the 7-year program, please visit thecompletepath.com. 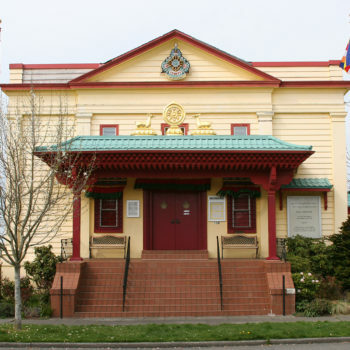 For questions about the program at Sakya Monastery, please email monastery@sakya.org or call 206-789-2573. To register, visit https://conta.cc/2IWhf0C or contact the monastery. The text for Year 2 is The Beautiful Ornament of the Three Visions by Ngorchen Khönchog Lhundrup. 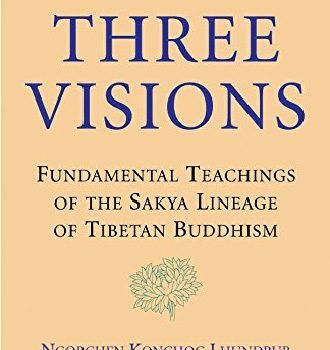 The Beautiful Ornament of the Three Visions, taught in preparation for the Vajrayana path, is the meditation manual for the sutra path according to the Lamdré cycle of teachings. It covers all the practices from going for refuge and bodhicitta up to the cultivation of calm abiding and special insight, culminating in a description of the qualities of enlightenment manifesting with the perfection of these practices. Tuition: $300 for Sakya Monastery Members, $400 for Public and Guests. Late registration (after July 25): $475 for all. Teacher: Ven. Khenpo Jampa Rinpoche comes to us from the Dzongsar Insitute in North India, where he taught and served as library director for many years. He received his Degree of Acharya after nine years of study and graduated from Dzongsar University with a Ph.D. in philosophy. Following his 13 years of study, he was ordained an Abbott (Khenpo) in 2004 by His Holiness the Dalai Lama. He spent seventeen years studying with his main teacher, H.E. Khenchen Kunga Wangchuk. He also spent three years of silent retreat in Tibet. He has received empowerments from all four schools of Tibetan Buddhism and from many great masters including H.H. the Dalai Lama, H.H. Sakya Trizin, H.H. Dagchen Rinpoche, H.H. Karmapa, and H.E. Dzongsar Khyentse. 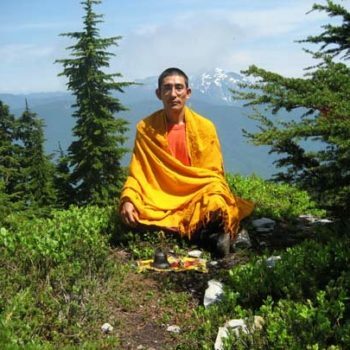 He is a resident Lama of Sakya Monastery in Seattle, WA, and teaches intermediate and advanced level classes on Buddhist philosophy, sutra and highest yoga tantra all over the world. He is also the founder and president of Tibetan Education Foundation, as well as the president of the International Association of Non-sectarian Tibetan Religious Traditions (IANTRT) of North America. Translator: Geshe Jamyang Tsultrim received his “Loppon”, an advanced degree in Indo-Tibetan Psychological/Philosophical studies, from Sakya (Monastic) College in India after studying 10 consecutive years under the late Khenchen Appy Rinpoche. He then served as a faculty member teaching Buddhist philosophical studies for two years at the Sakya Institute, Puruwala, India. He became a close attendant/translator for the late H.E. Dezhung Rinpoche III in Nepal for several years. After arriving in USA, Jamyang was officially appointed as a resident dharma teacher in Olympia, WA by H. H. Dagchen Dorje Chang in 1988 and has been serving as a Dharma teacher for the last 29 years. He was a former Tibetan Buddhist monk for twenty years. 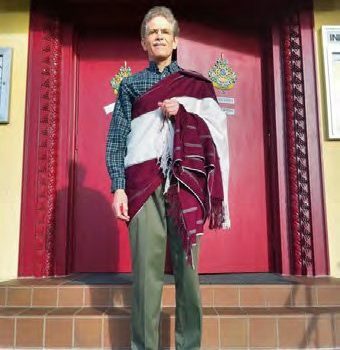 He is also a founder of the Nalanda Institute (Center for Buddhist Studies and Meditations) in Olympia. Jamyang was a visiting faculty member teaching Sakya Pandita’s Buddhist logic and Epistemology at IBA, Nepal in 2002. In the west, he then received his M.A. in Counseling Psychology in 1997 from Saint Martin’s University and his B.A. from The Evergreen State College in 1992 with an emphasis in Western Psychology. He has been practicing as a mental health therapist since 1990 and is a WA state licensed mental health counselor as well as works as a therapist at the Evergreen State College. He also teaches at the same college mainly East/West Psychology, Buddhist Epistemological and psychological model of mind emotion and specializes in a clinical application of mindfulness in mental health issues as well as well-being in a daily life. As part of his short visit to America this July, our Head Lama H.E. 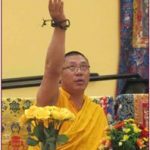 Khöndung Avikrita Vajra Rinpoche will visit Sakya Monastery in Seattle to bestow a precious day of empowerments and teachings called Dharma for Life and Death. This will introduce us to a rare practice for enhancing our life in Dharma called Chagdongma, and support Sakya Monastery’s regular Shitro practice dedicated to those who have passed away. Among the sacred termas (hidden treasure teachings) of Guru Rinpoche revealed in the Northern Treasures that are a specialty of the Sakya lineage’s Phuntsok Phodrang, the Chagdongma is a profound empowerment for enhancing spiritual practice, lifespan and healing based on Buddha Amitabha and the Thousand Buddhas of the Fortunate Aeon. H.E. Khöndung Avikrita Vajra Rinpoche will bestow the rare Chagdongma empowerment with explanation of how its practice can bring about extraordinary benefits for a life in Dharma. No registration required. No charge for entry. Seating is first-come, first-served. Overflow seating available with live closed circuit video. To support the Shitro practice for the deceased established by H.H. Jigdal Dagchen Sakya Dorje Chang at Sakya Monastery, H.E. Khöndung Avikrita Vajra Rinpoche will bestow the empowerment of the ‘hundred peaceful and wrathful deities’ known as Shitro. This practice relates to the teachings found in the classic Bardo Thodrol or ‘Tibetan Book of the Dead’, purifying the body-mind continuum of the practitioner and those they dedicate the practice for in order to benefit the deceased and utilize death for awakening. It is considered that just to receive the blessings of the empowerment can aid practitioners at the point of death. For those who wish participate in a Refuge Ceremony with His Eminence prior to the initiations, it will take place 9:00-9:30 am on July 22, 2018. You can contact the office at monastery@sakya.org to sign up for Refuge.